I remember being invited to visit with Maria and her visiting son Tony who was in town for their annual check in. He and the family lived back East in New York and were very worried that something could happen at anytime and they would not be able to help Maria. The family was looking for a safe, protected environment for her; she was not sure. While we looked around her home, we noticed all the usual suspects of safety concerns including extension cords, throw rugs and steps. Maria looked very sedentary for someone in her 80’s but she did love to talk. Tony mentioned how quickly her health turned poorer this last year. Asked about friends, all gone. Asked about physical activities, none. Asked about diet, frozen and fast food. Asked Tony to check out the fridge, some water and soda, the freezer had some frozen dinners and the rest was full of ice cream, vanilla ice cream Maria’s favorite. The families next visit to Maria was at her new assisted living home. They could not believe the difference a healthier diet, social interaction and some activities can do. Maria has become more active and is a social butterfly, after all she does love to talk. Tony and his family were lucky they saw the difference and needs Maria had and were able to do something before things got worse. With the holidays coming soon, many families will be visiting their senior loved ones for their annual or semi annual visits especially if they live out of the area. Here are some things to look out for and some great tips. If you have a loved one who is a senior citizen, it’s natural to expect them to require additional medical help as time goes by. The senior population in the United States is living longer, thanks to advances in medical science, and this means that new challenges are facing elder care. Thankfully, keeping your elderly loved one safe and healthy is manageable, when you follow common sense and a few practical tips. One of the most important things you can do to help your elderly loved one with their health care is to be informed. • Any warnings or adverse interactions associated with them. • If you don’t hear from them as planned, follow up immediately to see if they need emergency care. • Get rid of all throw rugs!! 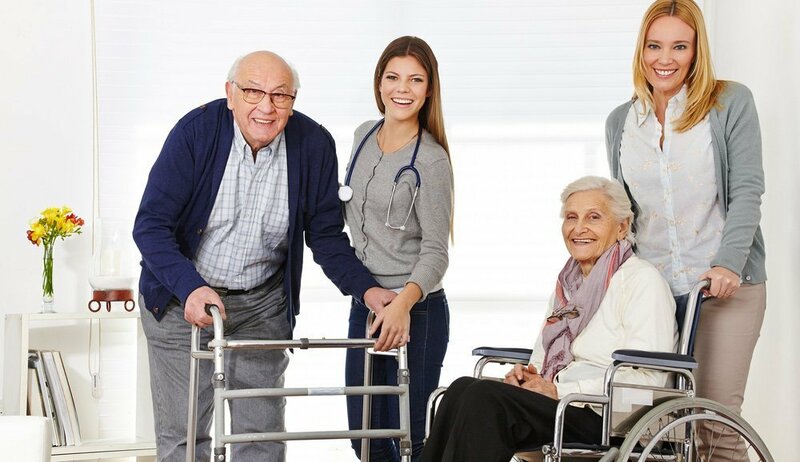 If you are having difficulty balancing your life and elder care or aren’t able to live with or near your loved one, but you know that he or she needs additional help you cannot provide, consider elder care solutions such as in-home care or assisted living. When considering these options, you will have to make sure that your loved one is on board and understands that the purpose behind hiring professional care is to ensure the senior’s safety and avoid medical emergencies. If you do face a medical emergency or need help with senior care involving your elderly loved one, Vista Living Senior Care is located in the Phoenix Arcadia area, between Biltmore and Scottsdale, and our team has helped seniors improve the quality of their life by making our purpose built 10 resident luxury assisted living homes something special. We love what we do and it shows. We urge you to consider Vista Living Senior Care for your family. We know we have something special. Let us show you. For more information please or to schedule a tour call Vista Living Senior Care at 602-456-1919, email info@VistaLiving.net or Visit Our Blog and subscribe.